From 11am-1pm this Sunday (7/15) when you swing by the farmers market in McGolrick to pick up those oh-so-perfect summer cherries, you and your kids can enjoy lots of family-friendly activities. 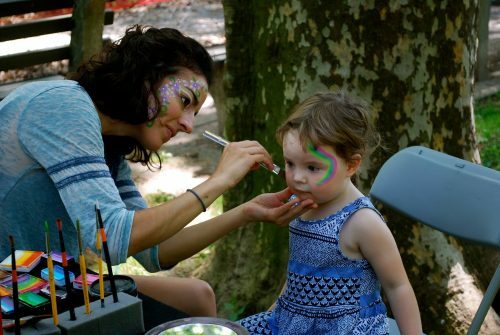 Part of a summer series that goes through September, this Sunday’s event will feature live music, watercolor crafts, a hula hooping workshop and face painting. 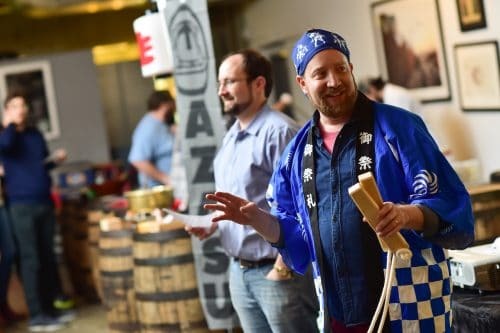 The biggest ever Sumo Stew is coming to East Williamsburg next Tuesday (7/17) at Arrogant Swine (173 Morgan Avenue) from 6-9pm. 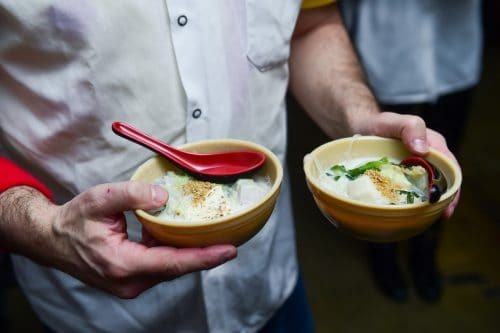 The event is hosted by photographer Michael Harlan Turkell and Harry Rosenblum, the owner of The Brooklyn Kitchen. 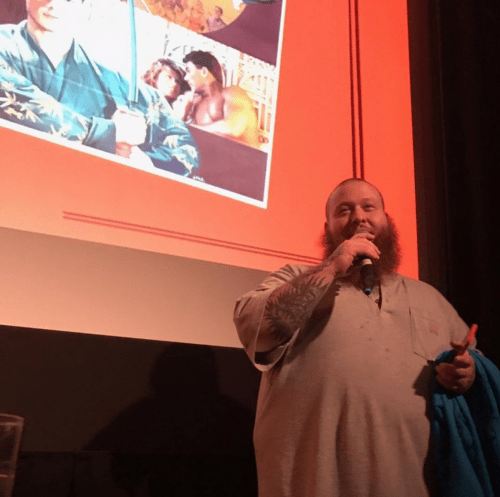 The pair teamed up to create a Japan-centered foodie event series (they’ve done more than a dozen at this point) featuring bowls of chankonabe (sumo stew) as the main dish, which sumo wrestlers make and chow down on before a match. 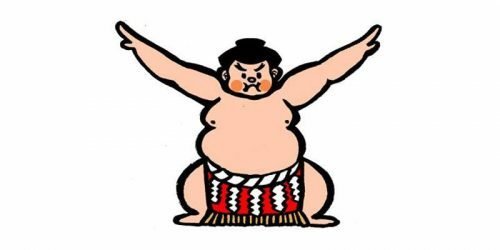 And, of course, sumo wrestling matches are live streamed during the evening. This round of Sumo Stew will feature a North Carolina BBQ-style Whole Hog chankonabe, in collaboration with BBQ joint Arrogant Swine. Tickets and complete event info here. 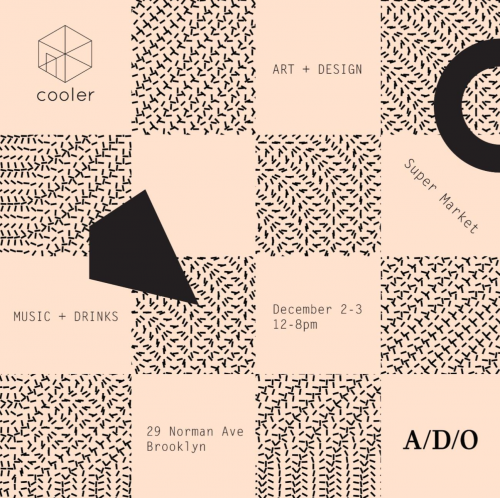 This weekend Saturday 12/2 & Sunday 12/3, A/D/O (29 Norman Ave) will be playing host to an uber cool art book fair and holiday popup curated by Cooler Gallery. The Cooler Gallery Super Market will feature unique designs and goods for sale and installations by local galleries, publishers, artists and designers. Some of the vendors include Draw Down Books, Likeminded Objects, Ladies and Gentlemen, Jordan Johnson, Dusen Dusen, Caroline Z Hurley, Tetra, Kelli Anderson, Huy Bui and Justin Donnely. Illustrator Jon Burgerman will host a drop-in, freeform and drawing workshop adorably entitled Doodle School. And at night, expect live music from the likes of Absolutely Yours, Chad Phillips, and Lillet Blanc. If you’ve got art lovers on your holiday gift list, don’t miss this popup! 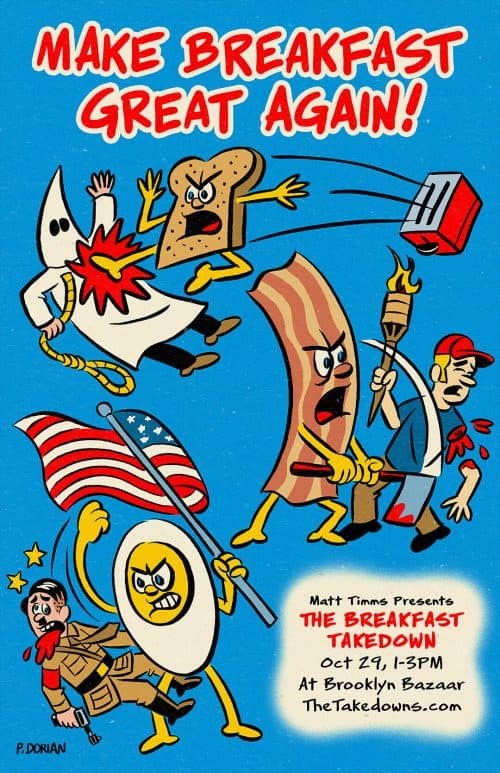 Tickets are $20, and your belly full o’ bacon n’ biscuits will thank you. Get thee to the takedown! 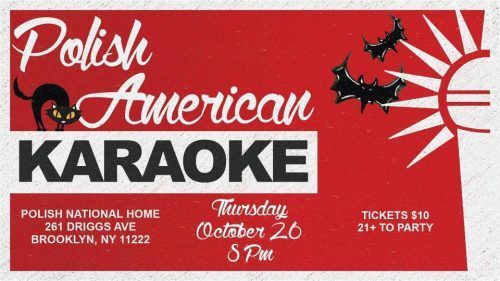 Polish/American Halloween Karaoke TONIGHT (10/26) at Warsaw! Wydaje Ci się że umiesz śpiewać? Sprawdźmy to!! Zapraszamy na Polskie Karaoke! Chcemy Cię usłyszeć i milo spędzić wspólnie czas! W tym tygodniu mamy dla Was przygotowany konkurs na najlepszy Halloweenowy kostium! Do wygrania darmowa wejsciówka na nastepną imprezę + ulubiony drink w barze! It’s time to sing your heart out and rock the night away! Join us for Polish Karaoke night! This week we have a surprise for you! We will be hosting a Best Halloween Costume Contest! Winner gets a FREE DRINK of their choosing as well as FREE ENTRY to our next Karaoke event! Good Luck! Postcard Writing Party + Rosé TONIGHT (10/24) at Bulletin! 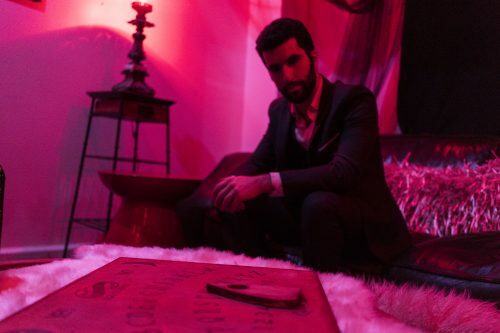 There are some spine-tingling events brewing in North Brooklyn this Halloween, and this séance is no exception—part immersive microtheatre, part cocktail party and part magic show, The Other Side is entertaining, mind-bending and a little spooky. Get Your Twin Peaks Tattoo Next Week at Three Kings! I have no idea where this will lead us, but I have a definite feeling it will be a place both wonderful and strange. If you’re a fan of filmmaker and master of weirdness David Lynch, you are probably obsessed with his most famous of works, (duh, Twin Peaks) which has recently been rebooted on Showtime. And, if you’re a fan, you’ll probably want to check out this flash tat event at Three Kings (572 Manhattan Ave) next Thursday! 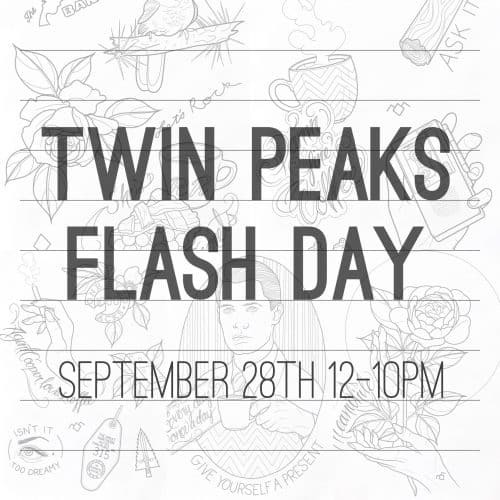 Tattoo artist Amanda Rodriguez is hosting a special Twin Peaks flash day from 12pm-10pm, where you can get designs ranging from The Bang Bang Bar’s logo (omg!) to an adorable log that reads “ASK IT” underneath to a One Eyed Jacks poker chip. You can peep the available designs on Amanda’s Insta account. Prices range from $100-450, and if you want to reserve a space in line, there’s a $50 deposit required. You can email her for deposit info: [email protected]. I mean, you should just go for it. Every day, once a day, give yourself a present. Don’t plan it. Don’t wait for it. Just let it happen. It could be a new shirt at the men’s store, a catnap in your office chair, or two cups of good, hot black coffee. Or even a tattoo. 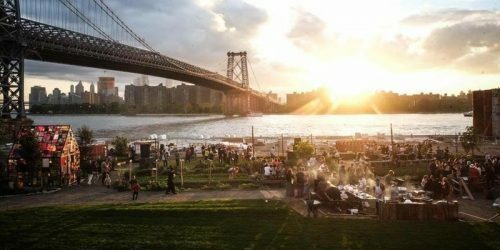 North Brooklyn Farms (320 Kent Ave) is having their fifth and final Every Body party of the season! Join them on the farm for a day-into-night party with food, drink, music & art.